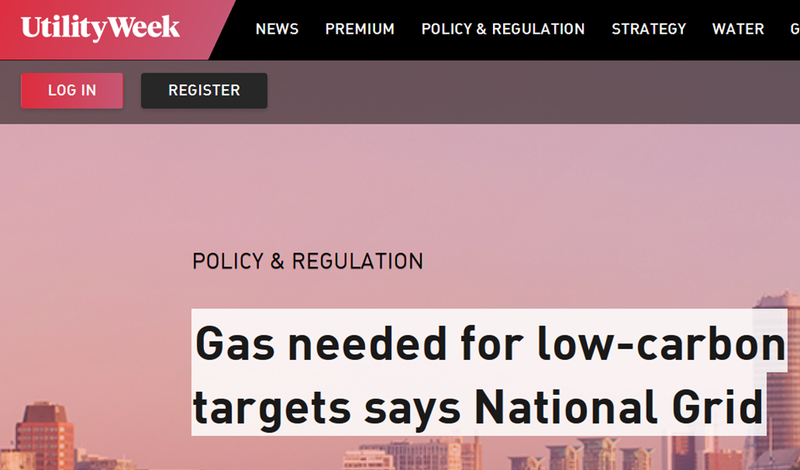 No credible scenario’ exists for hitting the UK’s 2050 decarbonisation targets without continued reliance on gas, the National Grid has warned. In a new report, entitled The Future of Gas: How gas can support a low carbon future’, the grid says that it is not feasible to switch over to electric heating on the scale required to reduce greenhouse gas emissions to 80 per cent of 1990 levels by the middle of this century. To fill the gap required to meet peak heating demand during the winter with electricity would require a seven-fold increase in generation capacity. It says that while electricity demand currently peaks at around 60 GW, up to 350 GW of electricity would be required during winter cold snaps.